Minimal shapes for a solution that combines door entry monitor functions with home automation functions. Scratch-resistant glass surface and edges with a brushed metal finish. Icona Manager: minimal and pared-back design. Sensitive touch keys with swipe activation. Large capacitive touch screen. 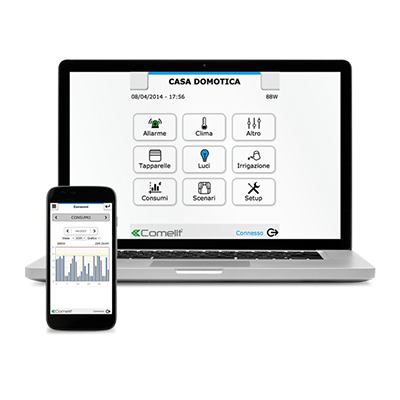 Comelit Icona Manager home automation system manager: your home in a fingertip. 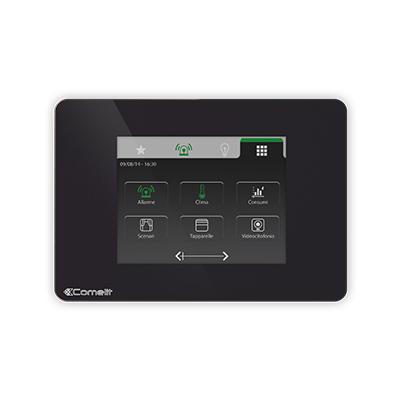 As well as being a colour door entry monitor, Icona Manager offers a full range of home automation functions for controlling domestic installations and devices, from heating to alarm systems and audio distribution. 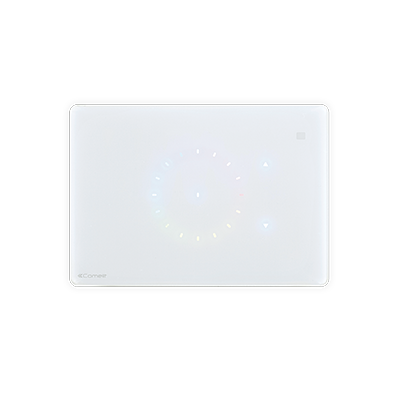 The capacitive technology allows effective management through simple gestures. imported to the supervisor via mini SD card. Messages: You can receive messages or alerts from the switchboard. The arrival of a new message is indicated visually by LEDs.